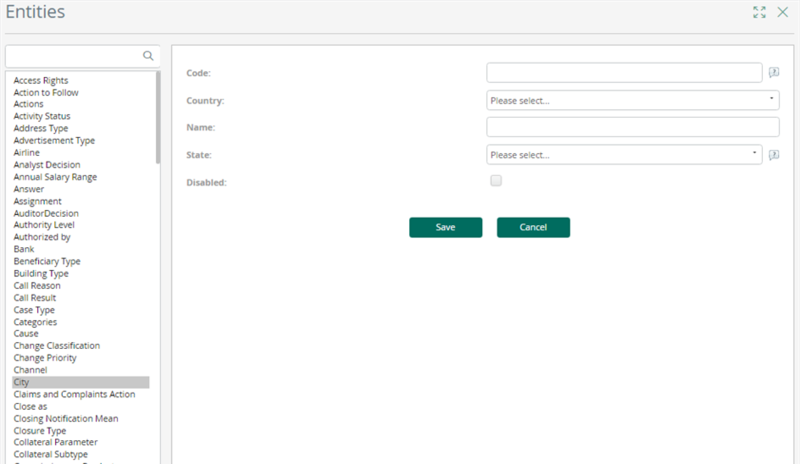 Parameter entities can be administered from the Work Portal by end users in order to modify, add or disable records. Once a project has been deployed, only Parameter entities declared as Manageable in Production environment will be available for end users to administer. 1. In the Admin menu select the Entities option. 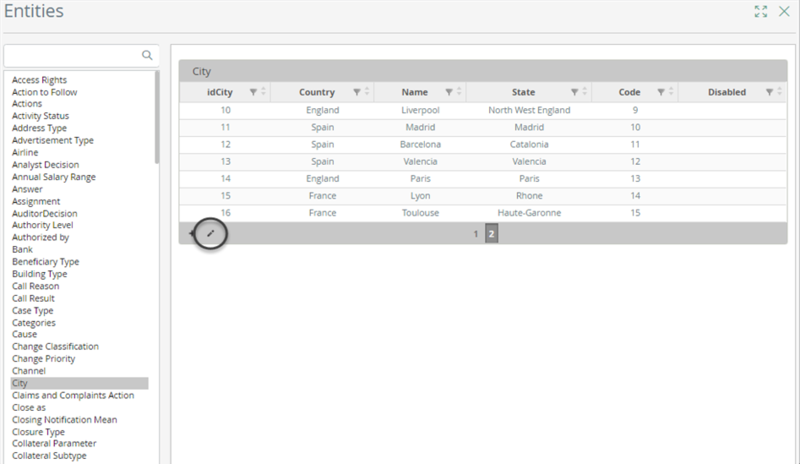 A new window will display the list of the Parameter entities. 2. 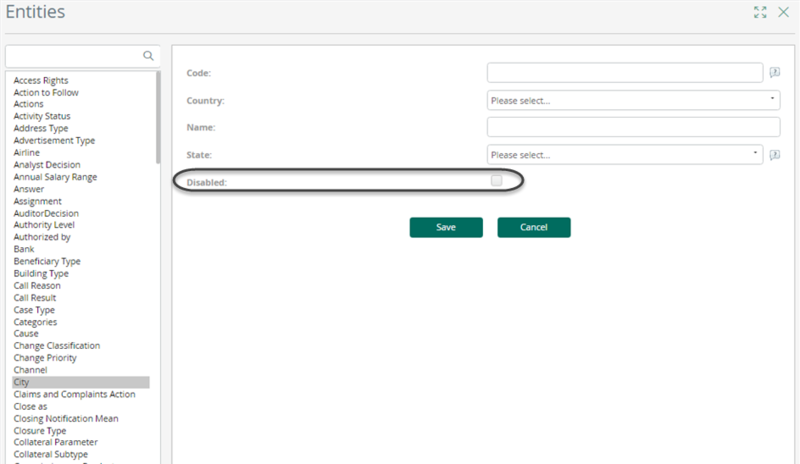 Select the Parameter entity that will be modified. Recall only Parameter entities designed as Manageable in production environment will be shown in the list. You can use the search field to simplify the search. 3. Select the Parameter entity. 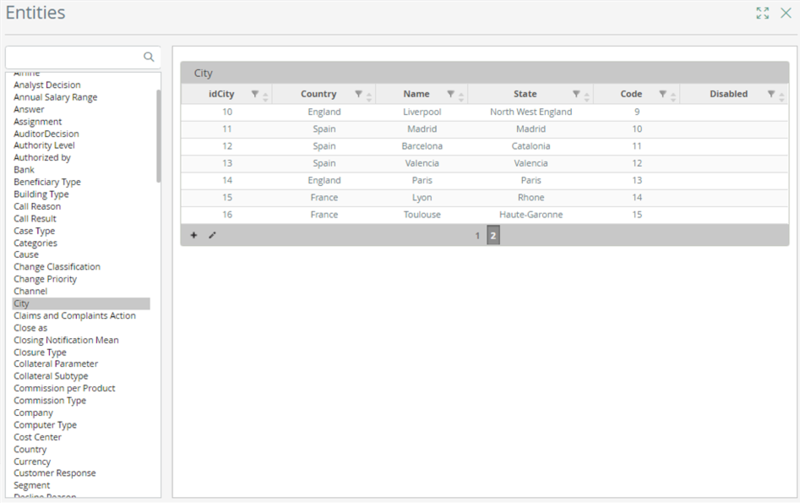 On the right, the Parameter entity table will display. The columns that are shown are the ones defined as Display form. You can add a new record to the entity using the Plus sign in the bottom of the table. 4. Another window will display to fill-in the attributes. Records in Parameter entities cannot be deleted. For this reason, they have a Disabled property to flag it as unused (logical delete). Disabled records will only be shown in existing cases (pending or closed) that references them. Fill the form with the required information and click Save. If no changes were saved, it is possible to cancel the request (return to the previous screen) by clicking Cancel. 1. 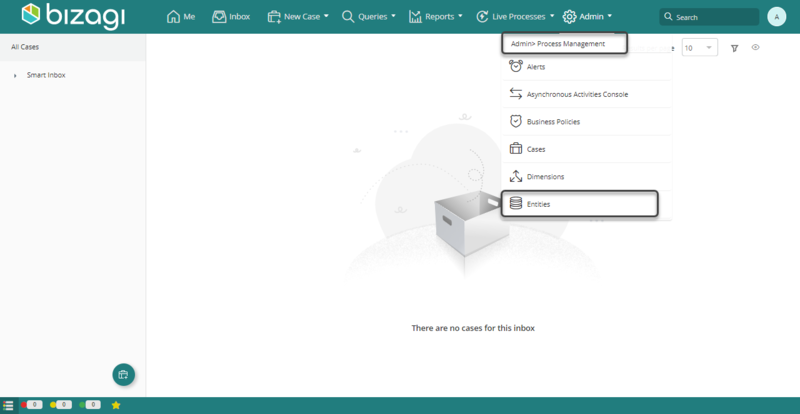 In the Admin menu select the Entities option. A new window will display the list of Parameter entities. 2. Select the Parameter entity to modify. 3. 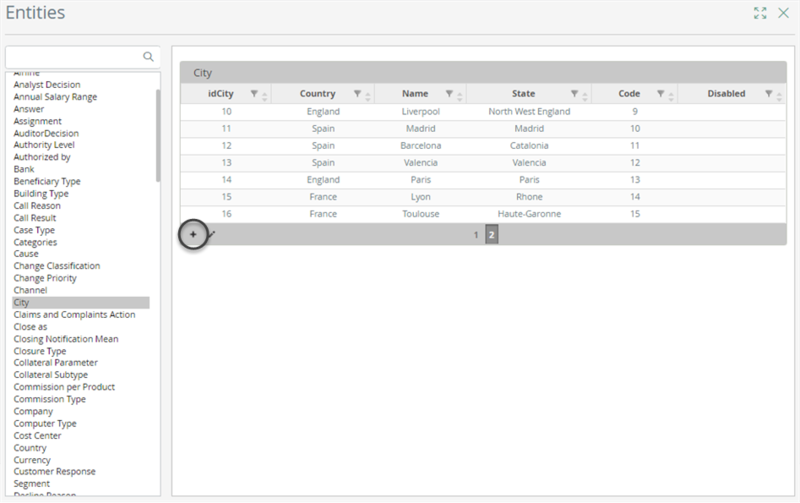 On the right, the Parameter entity table will display. Select the record to edit and click the Edit button on the bottom of the table. 4. The information pertaining to the selected record is displayed.